I have neglected Dance Friday a lot this summer but I am back. Today's Dance Friday is inspired by a chain of events. Yesterday I went to the Isabella Stewart Gardner Museum. God, it is beautiful there. If you are ever in Boston I suggest you head there before the other museums. It has a completely different feel and the whole building is art by itself. (P.S. They also had some famous artwork stolen. Crazy! While I was there, I headed into a fashion exhibit currently on display. There was some traditional Mexican music being played to go along with the fact that the fashion designer, Carla Fernández, is Mexican. I thought, 'Oh, man, this music is going to make me dance in public at a fancy museum." As if on cue, the friend who I went with started dancing. I can't remember his exact words but it was something like, "I mean, why not?" Indeed! While we were there we also saw some amazing artwork. 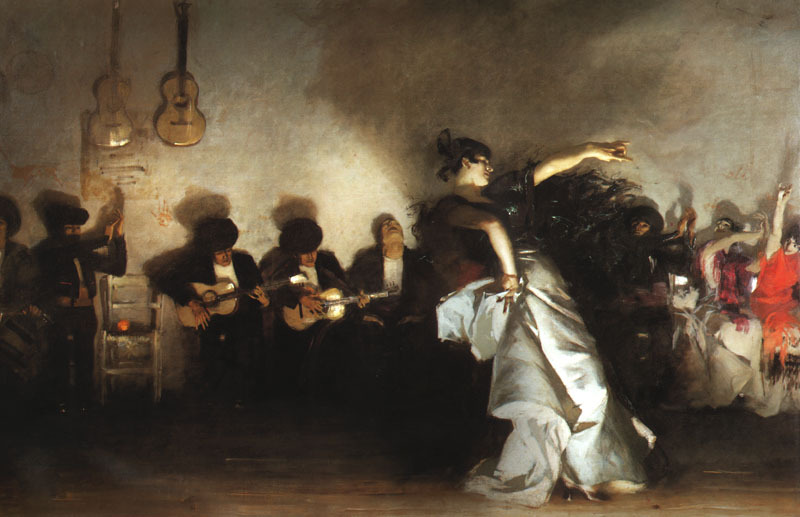 One of the most stunning pieces was El Jaleo by John Singer Sargent. It was enormous and demanded that you stand and look forever. This little picture I snagged from the interwebs doesn't do a lick of justice so you will have to go check it out. El Jaleo refers to a dance called jaleo de jerez. This is your first Dance Friday video. 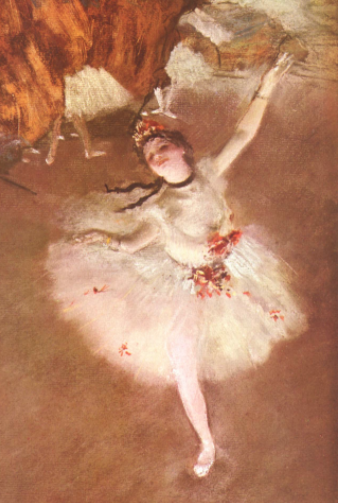 I'm also throwing in here a commercial I saw posted on FB this morning because it also deserves attention and we saw some lovely Degas at the museum yesterday. And now you have...Dance Friday. However you can, because you can, and because, why not?